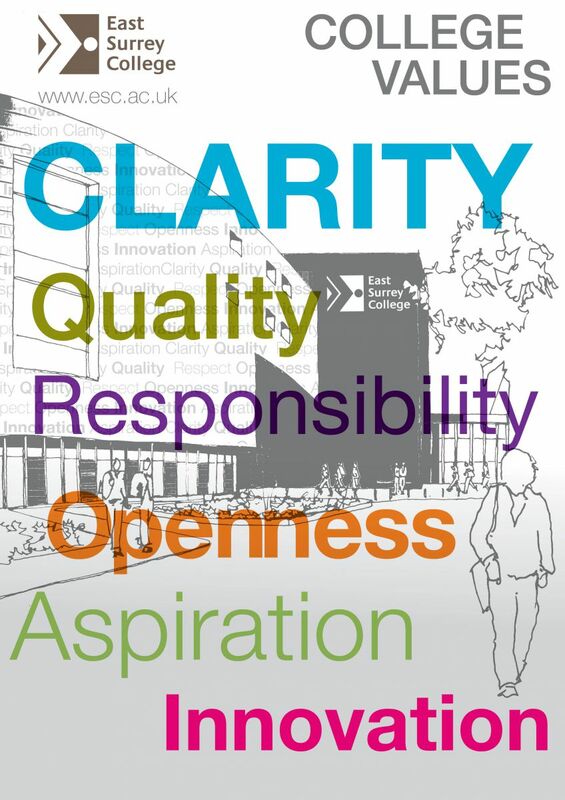 East Surrey College seeks to add value to the social, economic and physical well-being of community it services. It does this through a defined educational character, vision and mission which inform the strategic aims which are reviewed annually and through its overarching values. The wider community is defined as all partners who have an interest in promoting educational advancement of individuals to benefit local business and the community as a whole.